There are very few who can claim to be a pioneer of a music genre, but when it comes to Dubstep … Cyrus is one of those elite. 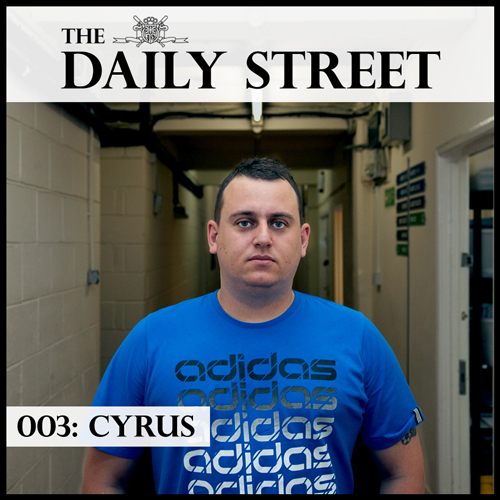 Hailing from Croyden (the birthplace of Dubstep itself), Cyrus lives and breaths Dubstep and has been doing so since 2003. With critical releases on labels such as Techtonic, his own label Random Trio Productions and one of his tunes being featured in the oscar nominated film “Children of Men”, it is fair to say that Cyrus is a heavily influential person in shaping the sound and success of Dubstep as we know it today. Recently getting involved in GetDarker, he is continuing to shape the scene from yet another angle and push things forward. Cyrus has brought some straight up Dubstep pressure to our mixtape series, and it goes down so smoothly. A 45 minute mixture of deep, dark, broody dubstep blended effortlessly makes this mixtape an absolute gem. It’s also pretty heavy on the dubs, which is always nice, but that comes as no surprise from a man like Cyrus! siiiick man thanks, any news on the one with Omen?